The addiction epidemic makes headlines left and right. A staggering 23.5 million Americans are addicted to drugs and alcohol. The cost of substance abuse to our nation exceeds $740 billion annually and is hurting communities, families, and the people we care about. There are business opportunities related to the addiction epidemic that offer vast potential and we believe one of these opportunities may be the addiction treatment industry. The growth potential in this arena could be staggering as it is estimated that 1 out of every 10 Americans has a substance abuse problem. 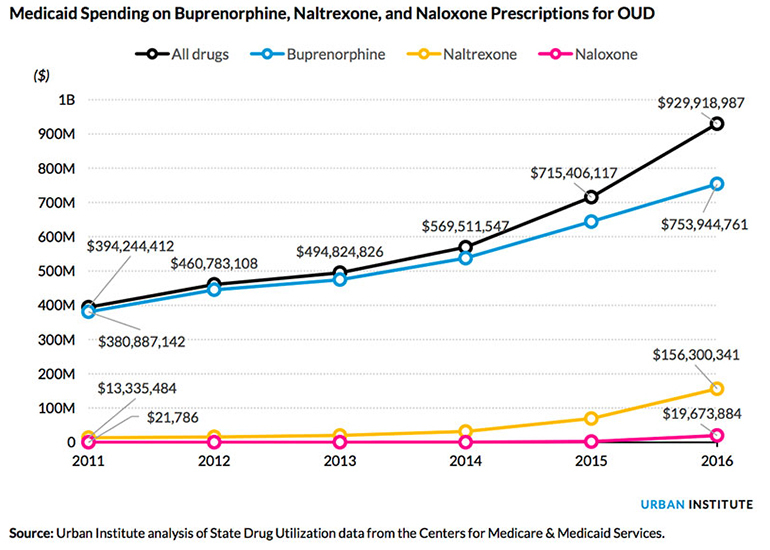 The $36 billion addiction treatment industry is undergoing a radical transformation and we believe that we, BioCorRx (OTCQB:BICX), are staying well ahead of this transformation. The way addiction is treated today has evolved greatly compared to 100 years ago. Treatments were once comparable to torture, and many people with addictions were hastily thrown into prisons or asylums, assuming they lacked strong moral fiber and were mentally weak. Addiction is a growing concern across the globe with a recorded 230 million drug addicts worldwide according to the Huffington Post. America accounts for a tenth of them! 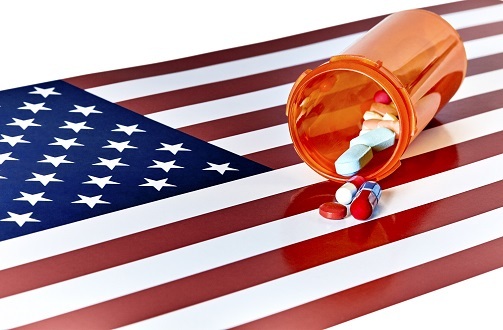 The business of recovery has opened the door for BioCorRx and its unique recovery program, which could potentially help many Americans fight their addiction. Designed to treat alcoholism and certain opioid addictions, the BioCorRx® Recovery Program is used by a network of independently owned and operated treatment centers located throughout the United States. 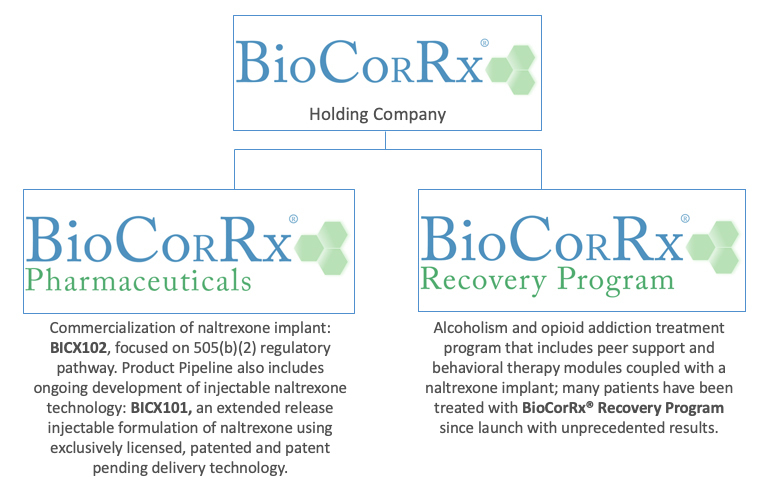 BioCorRx's program utilizes our worldwide rights (except in Australia and New Zealand) to a proprietary implant formulation of the FDA-approved drug, naltrexone. We believe this implant formulation is a highly effective utilization of naltrexone which has proven to substantially reduce cravings for drugs and alcohol. We believe our recovery program is high-quality, comprehensive, and cost- effective, It was built on a strong foundation of experience and practice, allowing for an improved quality of life for recovering addicts. Specifically formulated, completely biodegradable pellets are typically inserted just beneath the skin in the lower abdominal area for a slow and steady release of medication. The implant allows for naltrexone to release into the bloodstream in a sustained dosing pattern over time and lasts, depending on individual factors, for several months. This allows the patient the opportunity to reset their behavioral patterns by engaging in therapy without the constant bombardment of cravings for opioids or alcohol, thus, we believe, dramatically increasing the overall likelihood of success. BioCorRx is currently seeking FDA approval of new formulations of naltrexone with anticipated approval of one or more formulations by early 2020. Additionally, commercialization for a naltrexone implant is focused on a more rapid and cost effective 505(b)(2) regulatory pathway. Our BioCorRx® Recovery Program, which combines medication and therapy, is already producing revenue from independent treatment centers using the program. The Company is also working on private/public partnerships with municipalities including Philadelphia and Anaheim. The program has also been used in lieu of conviction in Ohio for an individual as previously mentioned in a company press release, and the Company has just begun a new partnership with CereCare as an authorized distributor of the program as well. With what we believe is our solid balance sheet and clean capital structure, BioCorRx is positioned to grow exponentially as our product advances in the market and our new formulation advance through the regulatory pathway. With nearly 900,000 people dying from alcohol‐related causes every year in U.S., there is a huge push to increase treatments. Drug abuse is also steadily on the rise. Over 2 million people in the U.S. abuse prescription pain relievers. Heroin is the most widely known illegal opiate, with users estimated as high as 900,000 Americans. 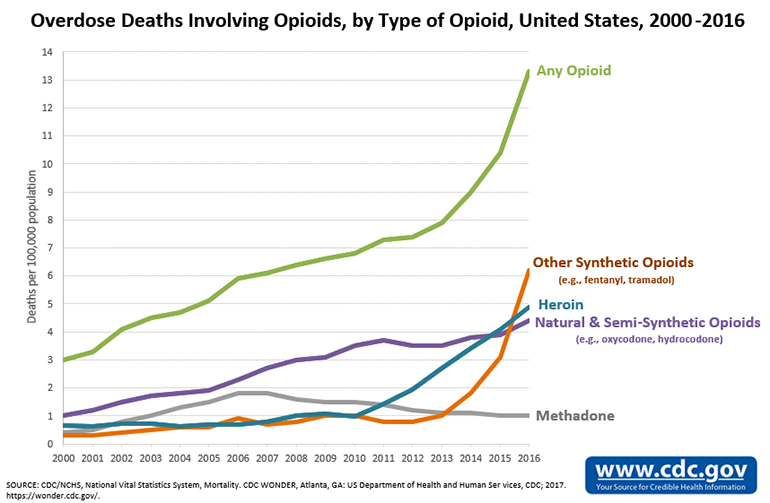 According to the CDC, drug overdose was the leading cause of accidental death in 2015. From 2008‐ 2014, growth in addiction treatment spending also exceeded growth in total health spending. 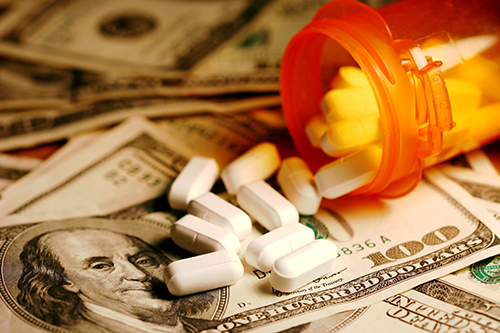 In 2015, addiction treatment spending was $36 billion. 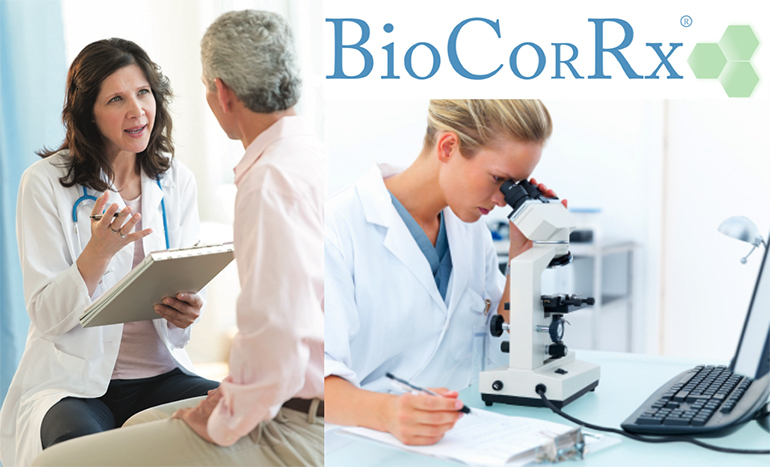 Right now, there is a strong shift towards combining medication and counseling, and we believe the BioCorRx® Recovery Program is on the forefront of Medication-assisted Treatment (MAT). "By its very definition, medication‐assisted treatment has to include more than medication alone. It has to include counseling services and the other support services that are an important part of effective addiction treatment; that's an important point because many people do not recognize that aspect of MAT. It does not mean that you can take a pill for a couple of weeks and be cured of your substance use disorder. That's not actually how it works; in the same way that if you have diabetes, you don't take a pill for a couple of weeks and you're cured of your diabetes. It's a chronic illness that requires long‐term management, and the same is true of addiction." Acquired North American rights to new implant formulations and Prodetoxone® study data in 2016. Extended release implant providing a therapeutic effect and maintaining plasma levels approx. 90 days. 3-month formula has been used in Russia for several years with longer version just developed. Formulas and protocols that we believe are very similar to Prodetoxone were purchased along with the North American rights to certain non‐public Prodetoxone study data which is expected to assist in a more efficient FDA approval pathway. BioCorRx has already been featured in USA Today, The Doctor Oz Show, MSNBC, Fox News, Fox Business Channel, and many other local news segments across the country. We believe we have an innovative approach, combining medication with supportive behavioral management to treat substance abuse. 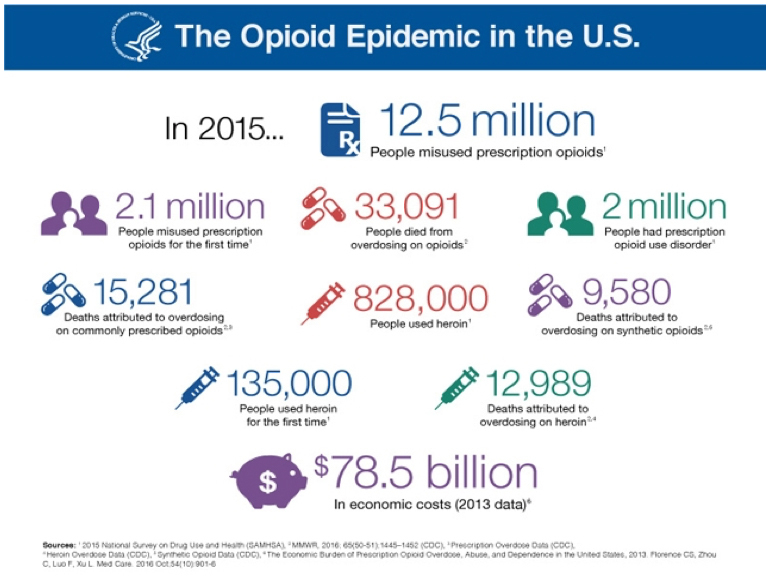 This is a vast market that could represent an unparalleled growth opportunity for BioCorRx as it offers a solution to many people who have addiction problems. The information in this article includes forward-looking statements. These forward-looking statements generally are identified by the words "believe," "project," "estimate," "become," "plan," "will," and similar expressions. These forward-looking statements involve known and unknown risks as well as uncertainties. Although the Company believes that its expectations are based on reasonable assumptions, the actual results that the Company may achieve may differ materially from any forward-looking statements, which reflect the opinions of the management of the Company only as of the date hereof.